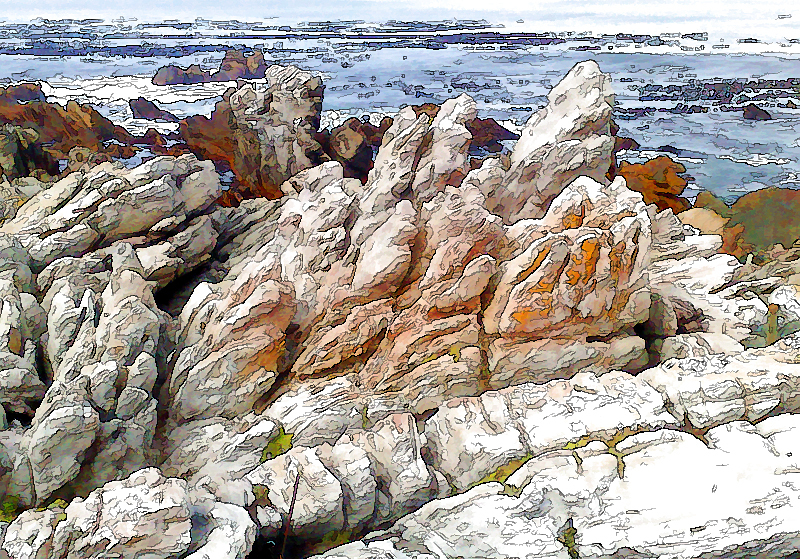 Some more rocks at Betty’s Bay. 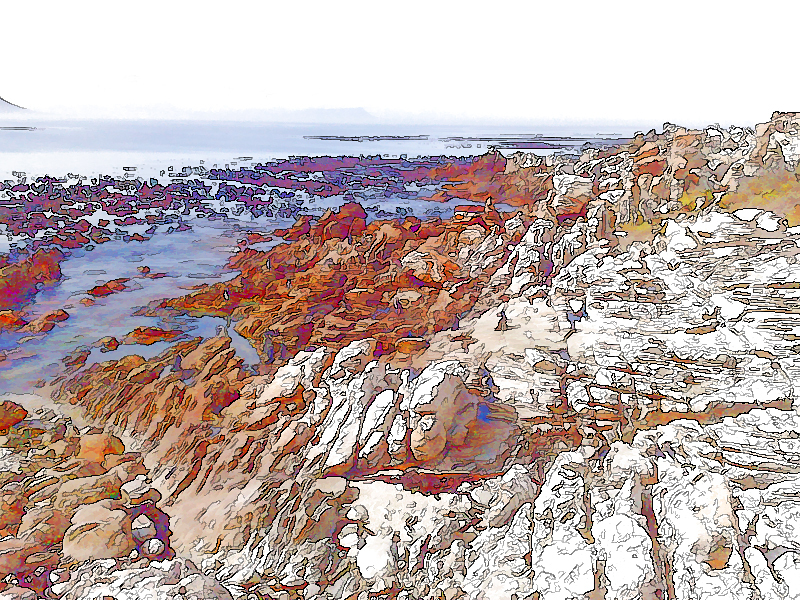 Another sketch of the rocks and the sea. 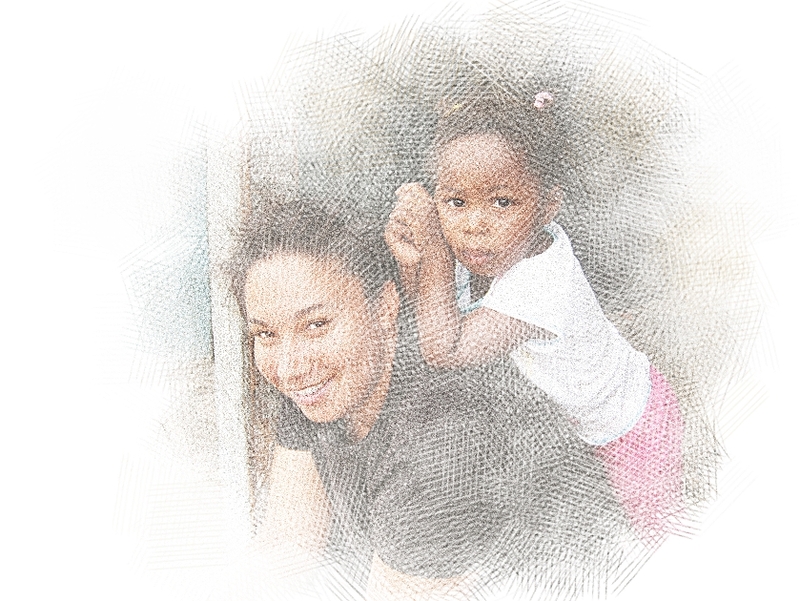 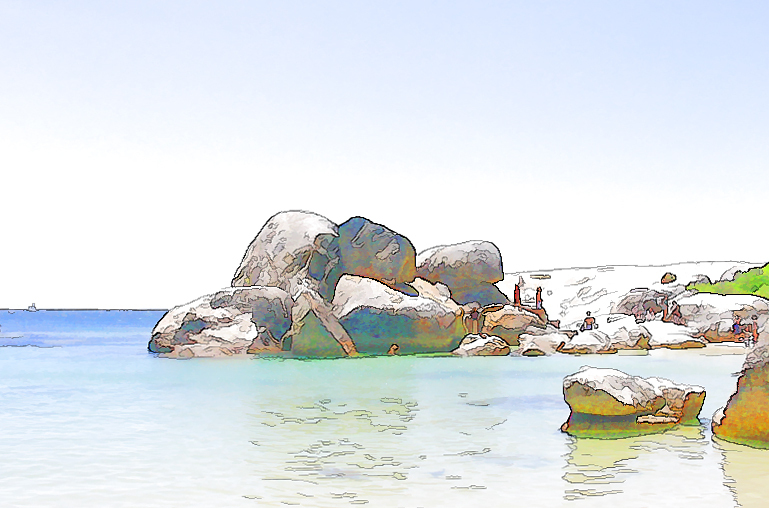 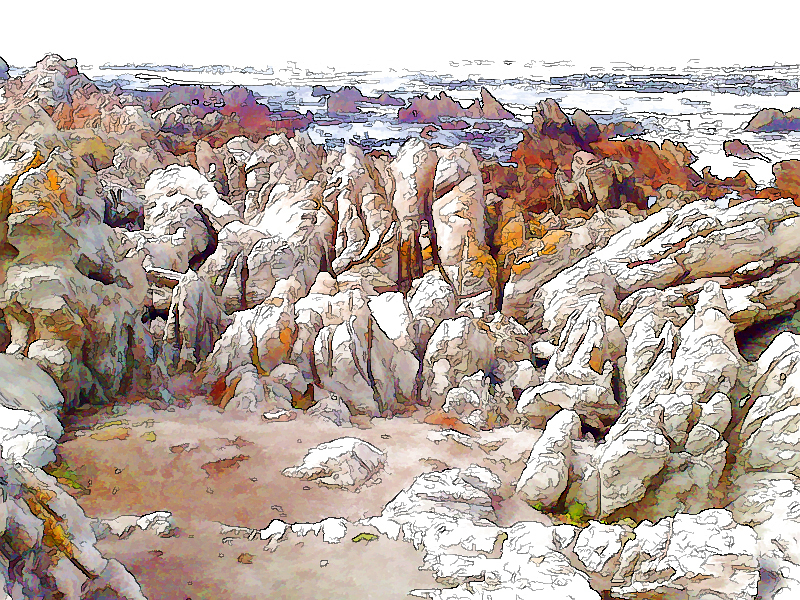 The digital sketch used in the new header and is also of the rocks and sea at Betty’s Bay. 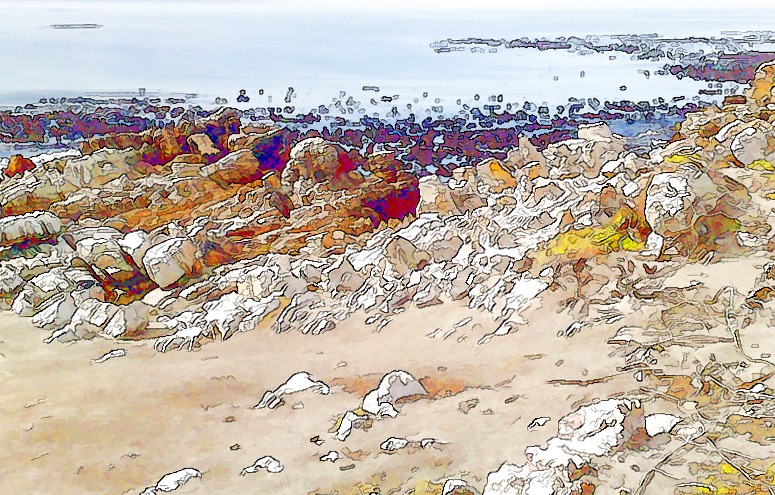 On this image the cartoon outline effect is now more visible than the ” Over Time ” image before opening it. 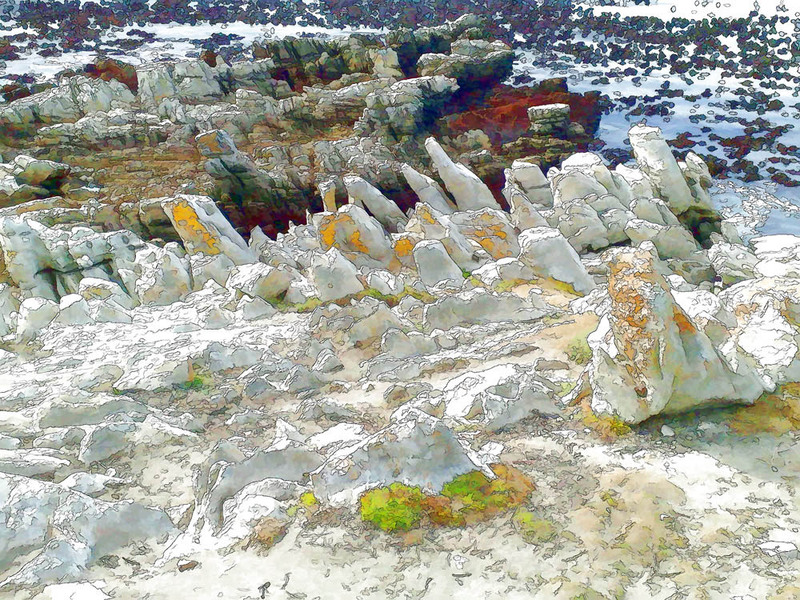 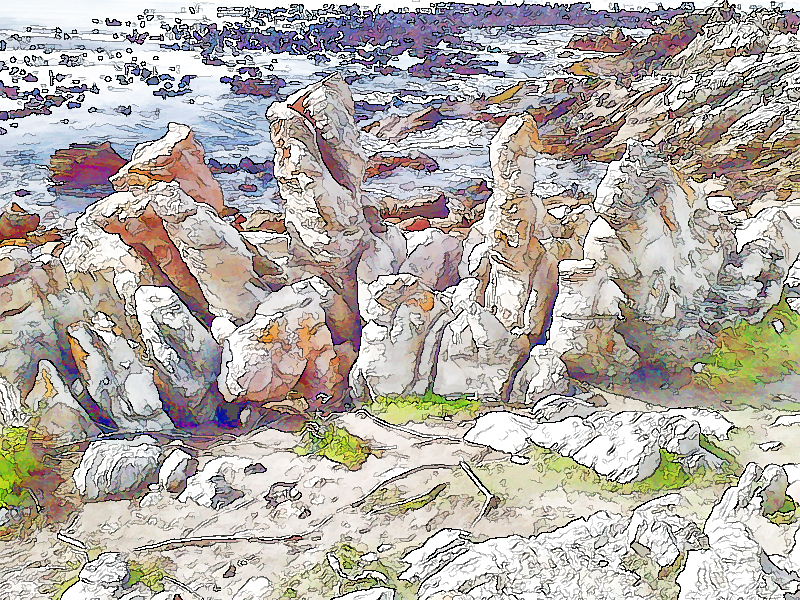 A digital sketch of rocks carved out by the sea over thousands of years at Betty’s Bay, Western Cape, South Africa. 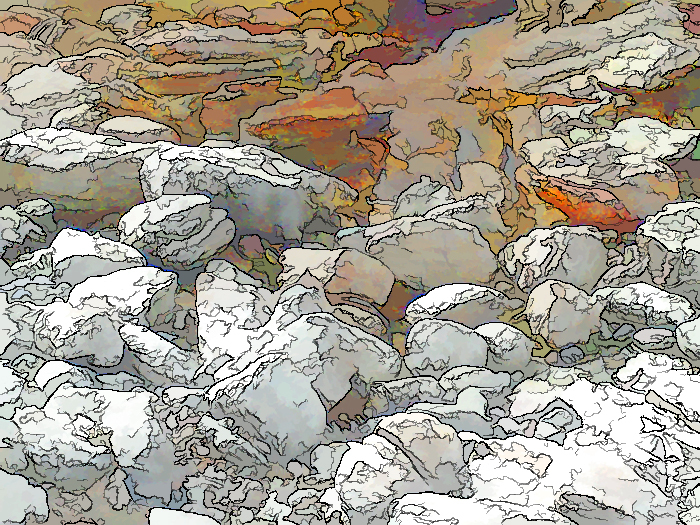 Here the other technique, that I mentioned in the previous post, was used. 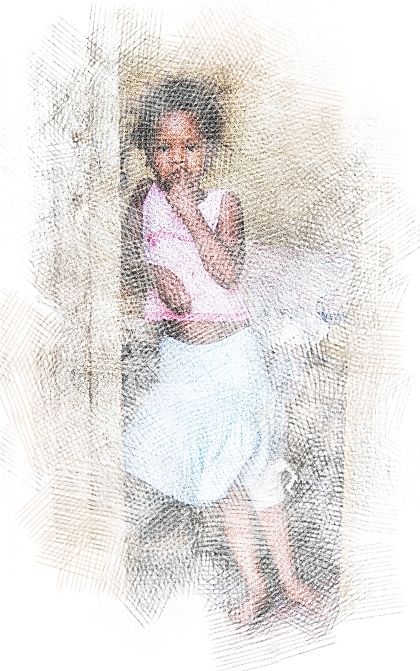 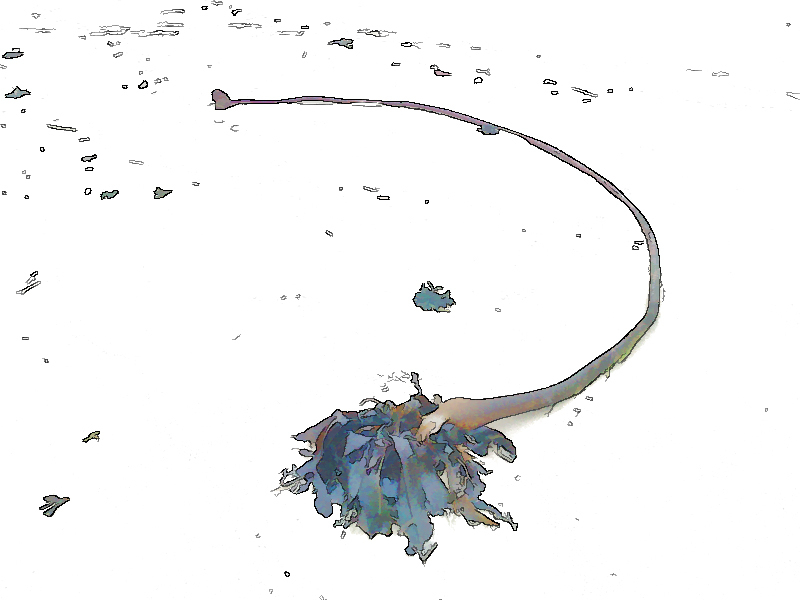 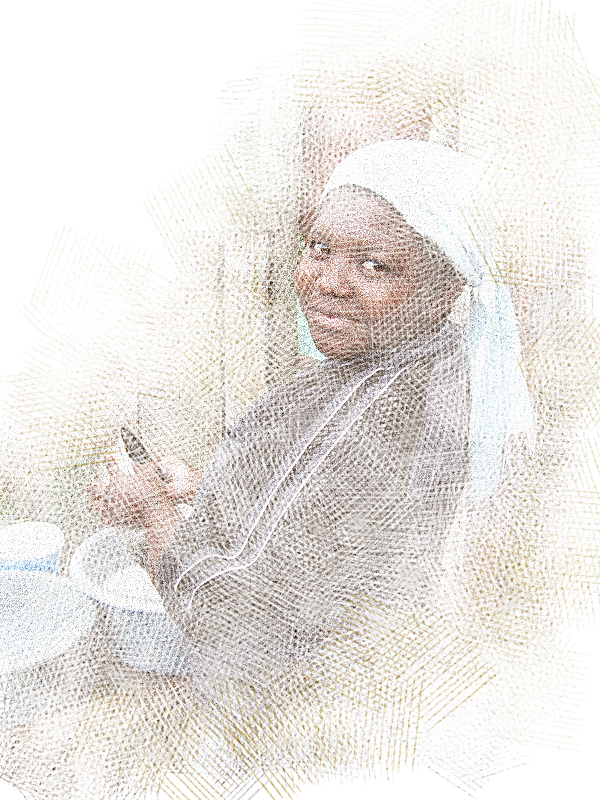 When you click on this image and let it open, you will see the effect of cartoon like outlining.